Better late than never has been my philosophy as This Crazy Life of Mine has kicked into full affect. Corporate projects, budgets, new hires and drama seem to have taken control of my life and it’s been a downward spiral ever since. I’ve grabbed firmly on the controls and started to pull myself out of this downward spiral and take back control of my life. With most of my projects winding down I can now start to concentrate on the things I love to do and work on the items that seem to cause drama as of late. The major toll this has had on me personally would have to be fitness, having zero desire to workout, run or even walk, which will surely affect me on the scale this week. That and the fact that my water intake is down and my soda and sweets intake are on the rise will definitely be a factor. With my one major project coming to an end soon I’ll be able to work semi normal hours and hopefully decompress. It’s always fun to work on projects that seem to have little direction and constantly changing on the fly because of this. Also being into budget season for 2014 makes it that much more interesting. Trying to figure out your 2014 is always fun….. especially when your still in 2013. Fitness will be the next item to take control of again and it should prove to be interesting. I’m hoping to get in a run when I get home and maybe even sit down to finish that workout routine that’s collecting dust on my desk at home. It needs to be finished and implemented but it’s hard when you get home and you’re physically and mentally drained. I do think the most interesting thing will be when I finally decide to go play paintball again. It’s now been over two months since I’ve played and about four weeks since I’ve even held or worked on one of my paintball guns. Paintball was an avid part of my life and I was consistently going every two weeks but I’ve had to stop as it was taking a toll on me mentally and has really had me questioning if and when I’ll return. One thing for sure is no matter what I’ll always be a Paintballer4life, but it doesn’t mean it will consume all of my life. Paintball is my passion, my release and a sport I’ve grown to love in the years of playing, but comes with its baggage just as any other things in life we love. What’s caused your life to go into a downward spiral? At what point did you grab the controls and pull out of that nose dive before crashing? 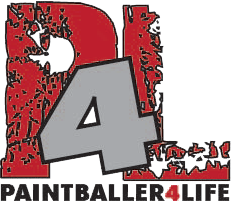 One year ago → ← Paintball Question Series….. Does Paintball Hurt?